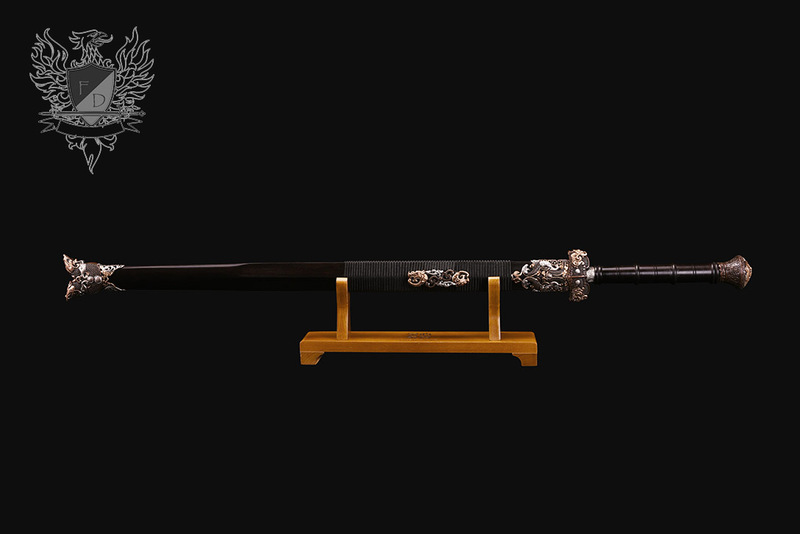 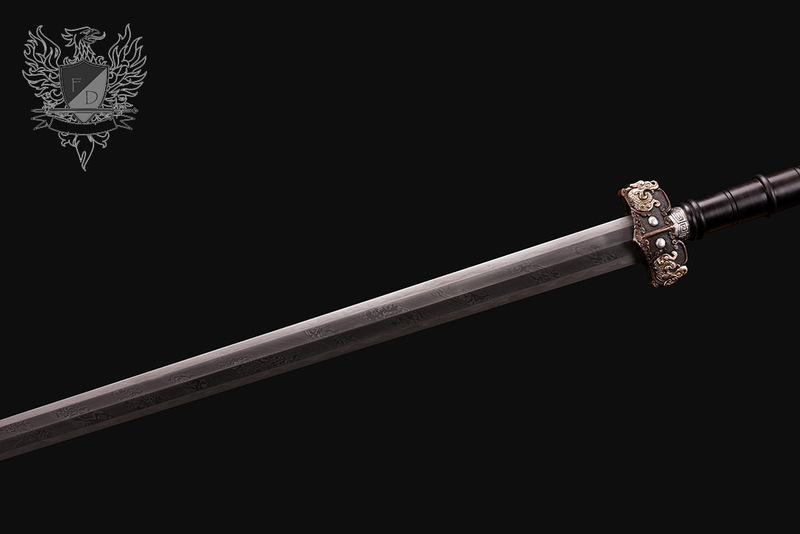 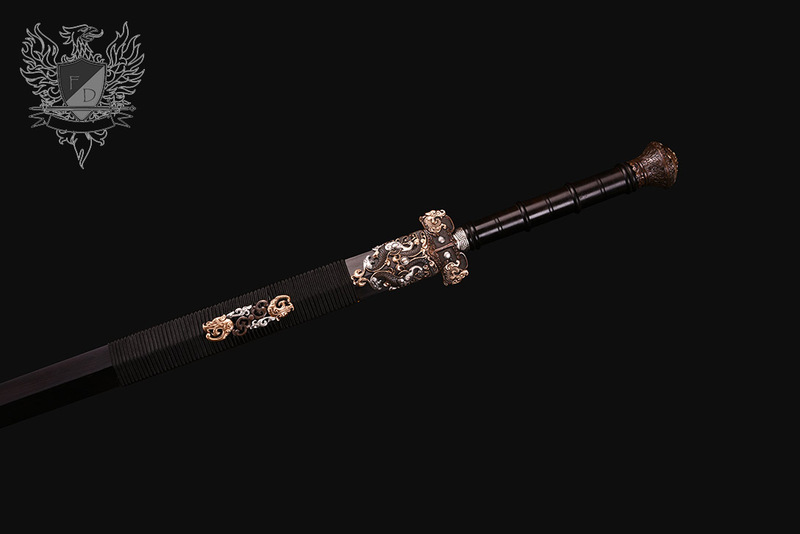 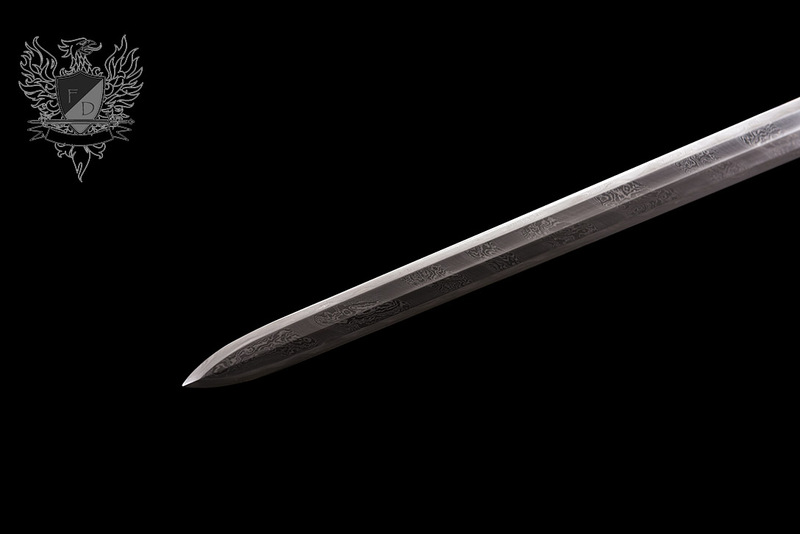 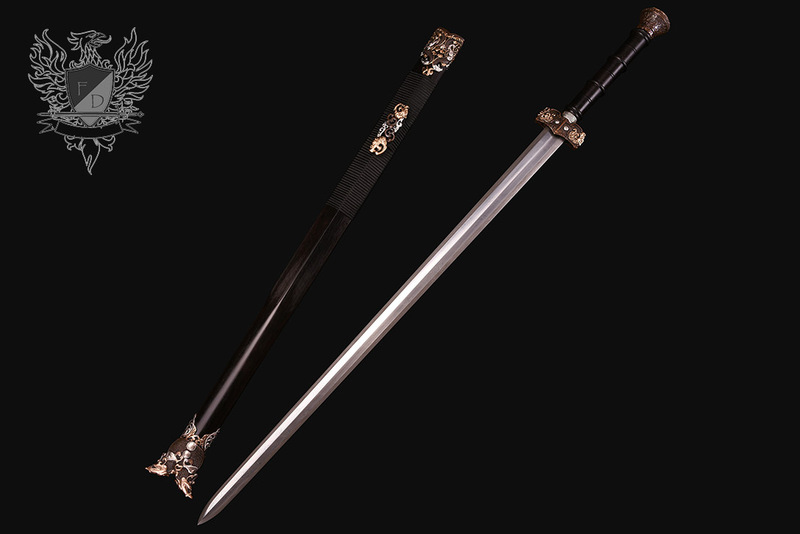 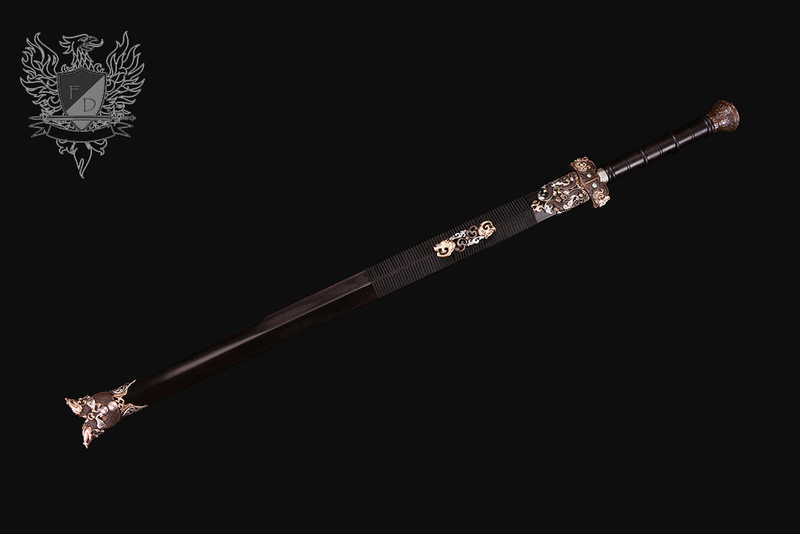 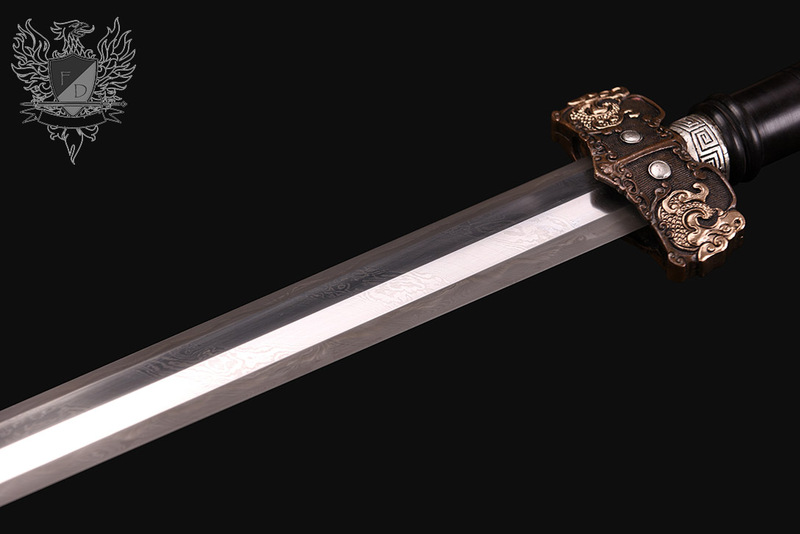 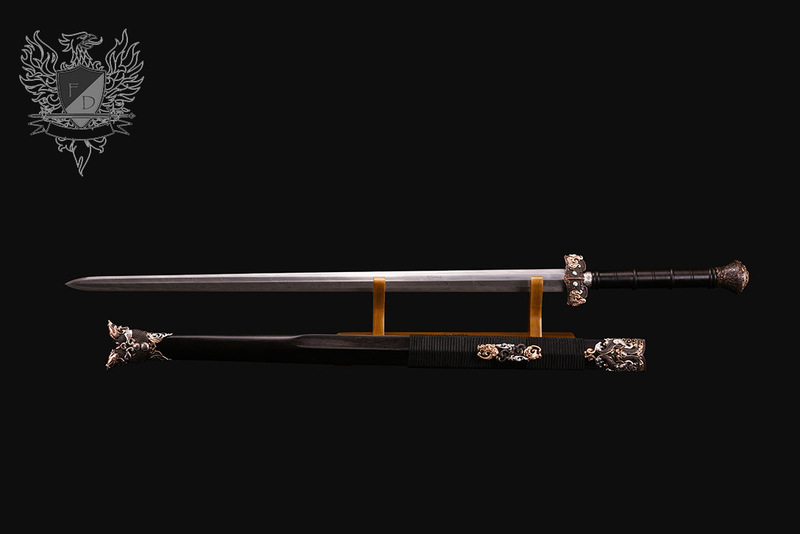 One of our very best swords - the Spinsteel Jian is both beautiful and unique - and extremely rare. 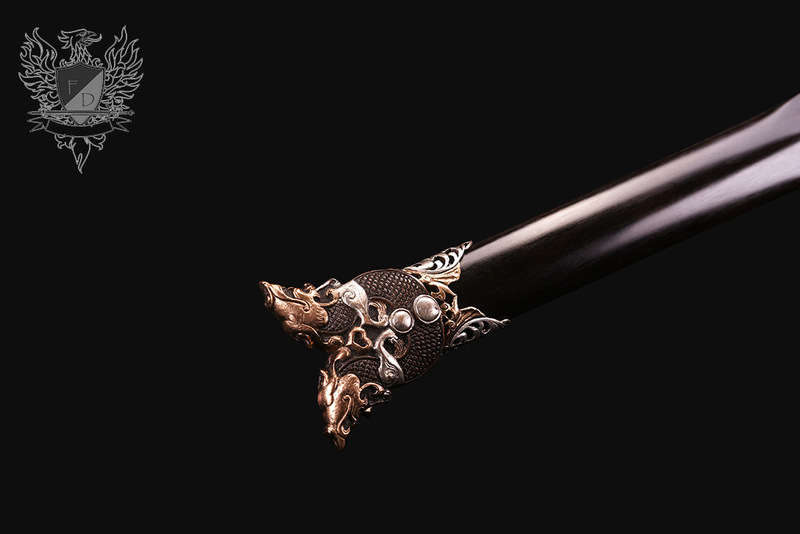 The fittings are in a league of their own, cast brass and hand finished with real gold and silver gilding. 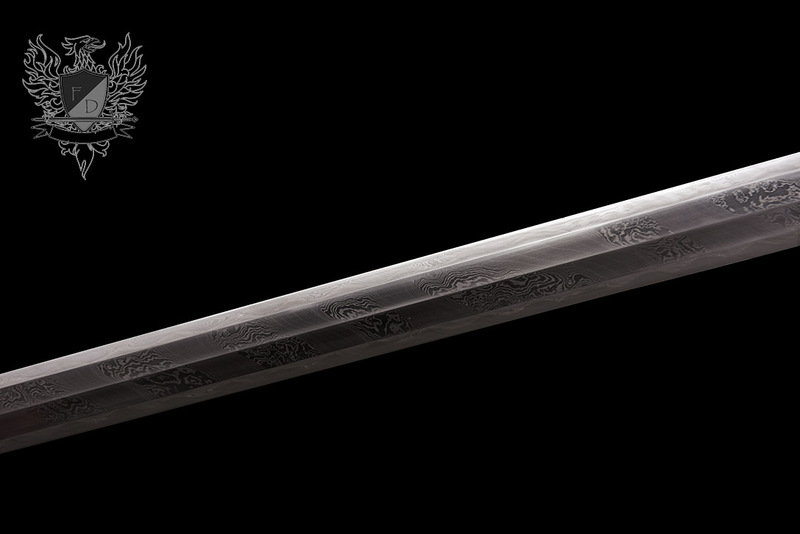 But while impressive, it is the blade of this sword that sets it apart. 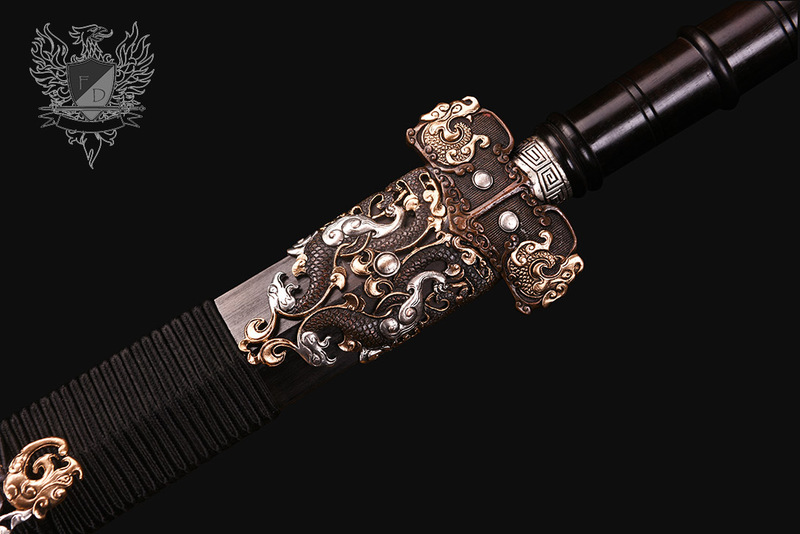 For it is made using a special 'Spinsteel' technique (revolving pattern welding) known to only a handful of smiths that results in a unique feathersteel/damascus hybrid style almost never seen outside of China. 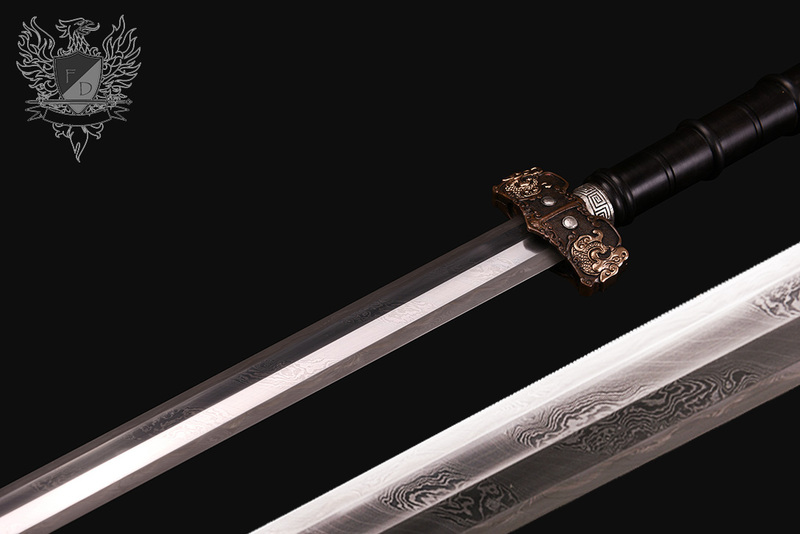 But this sword is not all style over substance - for not only is it eminently durable, but weighing in at 3lbs with a point of balance around 5" from the ornate hand guard, this two handed blade is both fast and responsive in the hand. 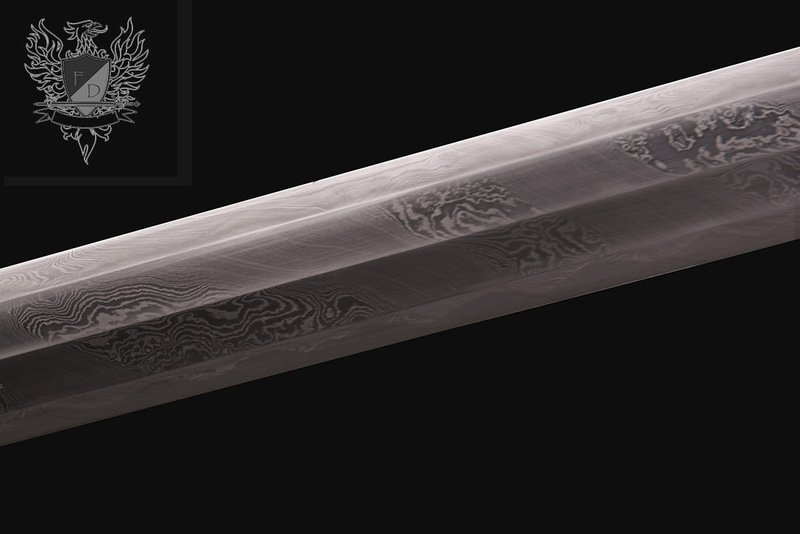 Mastersmith Forged and Sharpened 1095 Carbon Steel, Spinsteel style (Revolving pattern welded) Damascus blade with art finish polish. 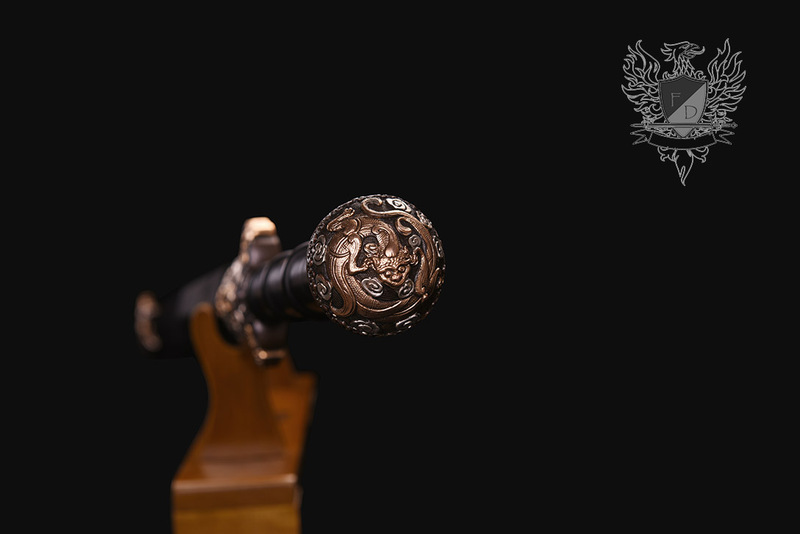 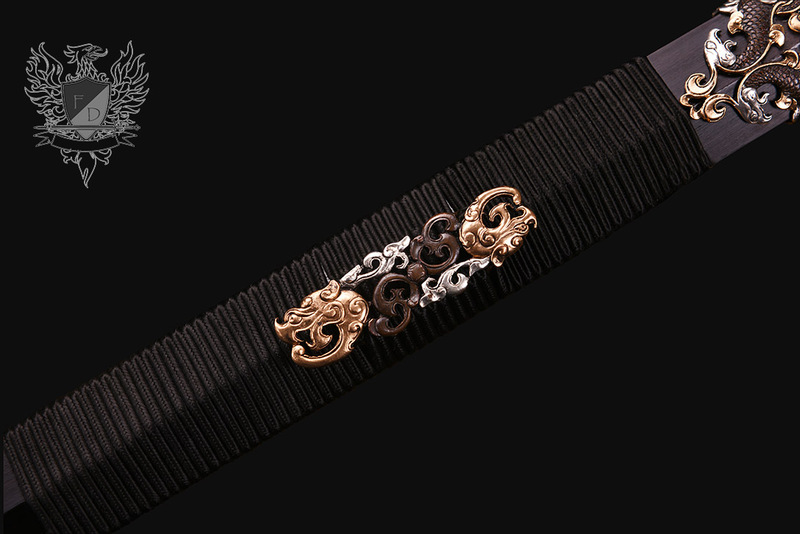 Premium black ebony and cast, hand finished brass fittings with real gold and silver gilding.